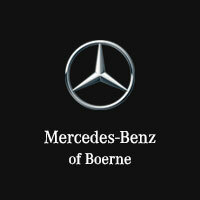 Mercedes-Benz of Boerne invites you to search our outstanding inventory of new Mercedes-Benz Luxury Cars & SUVs for sale in Boerne, TX. Our team of Mercedes-Benz specialists are ready and waiting to help you find one of the best offers on new Luxury Cars & SUVs near San Antonio, TX. Have a look at our Mercedes-Benz New Models, including the CLA, GLE, and C-Class. And, if you are looking for a Pre-Owned Vehicle option, visit our Used Vehicles inventory page. Also, don’t forget to ask about our great Mercedes-Benz Financing options, lease specials, and exclusive dealer incentives, carefully designed while keeping your financial needs in mind. Schedule Service today for your vehicle to ensure it continues to operate in its optimal condition. Search our stock online, come in for a test drive at 31445 Frontage Rd, Boerne, TX 78006, or call (844) 650-8056 today to learn more.